Time For A Bigger Family Car! There's one thing in my life that always makes me a little embarrassed to admit - at the grand old age of 33, I still don't know how to drive! Well...that's not strictly true...I do KNOW how to drive...but I have never taken my test and so am still a learner driver! There's really no excuse for this as my parents first paid for a block of lessons for me when I was 17...then again at 18, 19...and pretty much every few years since then! 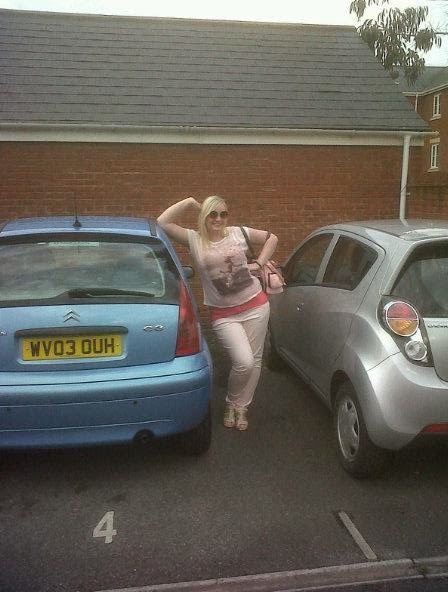 They even bought me a car a few years ago to encourage me to take my test - I love my little blue C3 - but sadly, it didn't work - I have still never attempted even my theory test, let alone the practical one! I don't know why except that I get SO bored of taking driving lessons....but it's something I really wish I would just knuckle down and get done! I've wanted to pass my test to drive my little C3 for ages, but now that baby number 2 is almost here - it's sadly time to sell her as she just isn't big enough for 2 children and a large pram! So we've been wondering about what kind of family car we should move on to! I have to admit - I am not a car person at all - I see people talk about them a lot but it all bores me, I have no idea about different makes and models - to me a car is a car, and as long as it moves without breaking down that's pretty much all I need from it! But I know Jon is much more interested and after all - he's the one who'll be driving it for the foreseeable future! He's been browsing through lists of Vcars for a while now, so here's hoping we find something suitable soon! What sort of family car would you recommend? I'd love to hear from you! It really depends on your budget. Their are some great family cars out their but it's all about trial and error. I'm 22, I've been driving for about 3 years now and I know about cars. A popular family car is probably the Ford Focus, my husband has one, it's really roomy and plenty of room in the boot. My little boy is 7 months old now and 3 months before I fell pregnant I got a Ford Fiesta on finance, it's a great car but it's only 3 door and it kills me getting Joey in and out of the back. Another great family car is a Seat Ibiza. I've had 2 cars so my advice is to do your homework, pros and cons and get someone you know who knows about cars to look at it with you and check it's all in working order.